Amanda slips a Platinum American Express card out of her wallet. The flight is booked, and four nights in the Sebel. "I suppose you’ll need some money for expenses, while you’re there." She hands me $500, mistakes my look of surprise for something else, adds another $500. Bonus, spending money. "I’ll keep in contact, Amanda. Let you know how the investigation is progressing. You won’t be disappointed." I close the laptop, slip the cash into the folder, put it under my arm. As I traverse the tiled interior river bank I smile at Pamela, elegantly perched on a taupe lounge flipping through the pages of Vogue. There is now only one obstacle blocking my trip to Vanuatu, and it must be handled with the utmost care. I reach for the mobile, remember it got smashed along with most of my day-to-day possessions. I drive home, take the cordless onto the balcony, take a deep breath, dial. "Just keeping you up to date, isn’t that what you want?" "Did something happen to you on that crane last night?" Vanuatu is to send me over there. We just booked the flights, I’m heading out tonight." "She’s a very astute woman, keen to clear her husband’s name. This trip could provide background information." Tread carefully. "It makes sense. I go over there, snoop around, without making any waves, see if I can find anything to link Clay’s business interests in Vanuatu to drugs, come home. Couple of days." I assume the silence means she’s thinking. "I’m supposed to be keeping a low profile. Couldn’t be much lower than out of the country." And now for the clincher. "Keep me out of your hair, so you and Stern can sort things out here." I pause, don’t overdo it, Dusty. "I’ll take Janet with me. Think she’d be better off out of town too." Red responds. "You realise you can’t travel overseas, you’ve been charged with assaulting a police officer." As expected. Here goes. "That’s not fair! It was an accident." "Amanda’s footing the bill?" She still sounds incredulous. "Paid the airfares, booked me into the Sebel." No need to mention the spending money. "I’ll talk to Stern, call you back." I wait, watch the shadows as the leaves on the mango tree move in the breeze. I’m counting on chemistry, that and common sense. I’m counting on Stern being, well, a man. The phone rings two-and-a-half minutes later. "Stern said the charges will disappear." "He’s gunna call Vanuatu police, get you a contact over there. Be careful." The perfect plan, perfectly executed, the Angels would be proud of me. I phone Janet. "Book the flight?" "We’re staying at the Sebel. Pack lots of bikinis." Before we leave for Vanuatu I have two things to attend to. Evan and Daz. It’s Saturday, Daz will be busy with auctions. I dial. "Dusty, got your feet back on the ground?" He’s referring to the crane incident. "Contacts. Wadda you want? Auction in twenty." "Where are you? I’ll drop around." "Point Cartwright Drive, southern end, you’ll see the sign. Got $1.5 mill you can snap up a nice oceanfront property." Smart arse. But I do have $1000 cash in my perfume-soaked wallet. That’s what I’ll buy, a new handbag. The home is absolute beachfront. A few metres of sand dune are all that separate the manicured lawns from the Pacific Ocean. Potential buyers prowl the three floors of contemporary beach house - open plan, floor-to-ceiling glass, stainless steel kitchen, views from every room. I find Daz under a casuarina. He’s chosen it as the best vantage point to watch bidders. "Keep it quick. Might have to intervene, give a little encouragement." The auctioneer calls a start to proceedings, waxes lyrical as he lists the features of the home, the beachfront lifestyle, talks up the market for waterfront properties. I decide to jump in feet first. "What are you doing for Clay?" "He’s not making any secret of the fact he wants to invest. What sort of property does he want?" Not going to let him get away with that. "Come on." "Looking at different options. Property, business, joint venture." Time to get serious. "Looking for somewhere to launder his drug money?" He takes his eyes off the punters. "Whoa. Who said anything about drug money?" "Told you before, he’s suspected of importing drugs." "Don’t see any cops arresting him." He scans the buyers as the bidding starts. "Introduce him to Evan? He’s looking for investors." "Suppose he’d want to see figures?" The bidding is climbing in $100,000 lots over $1.2 million. "So did Evan show him figures?" "Evan’s got a good track record with marine parks." "Is this going somewhere, Dusty? I’ve got an auction." He’s getting tetchy. Push. "A marine park would be a good investment." "Guess Evan would offer incentives, you know, sweeten the pot?" Push again. "Bit of extra publicity can’t hurt either." "Don’t think a shark attack’s great publicity, Dusty." An edge to his voice. The big hit. "Worked last time." He swings his head around to me. I know Daz, I know that look, and he doesn’t know about any previous shark attack. "Going away for a few days. See ya." The bidding stalls at the $1.3 million mark. He’s torn between wanting to know more and pushing a sale. "Might wanna encourage some clients. Not much money around." Daz will be on to Evan as soon as the auction’s over. And I’d bet Clay will also get the message. I want them all thinking that I know there’s more to this than meets the eye. I reckon there’s plenty of time to get to Evan before Daz does. Post-auction he’ll be chatting to clients, placating vendors, talking up buyers. I’m not sure Evan will be at Ocean World, decide to try. I turn into the carpark, no spaces - the week’s events don’t seem to have turned away visitors, they’re probably lined up outside Shark Central hoping for a repeat performance. I park in a disabled space, walk around to the offices, knock on the door. No answer. I walk to the front entrance, there’s a line-up. I cut in. "Dusty Dexter, Private Investigator, and PR consultant to Dr Evan Evans. Let him know I’m here." I’m holding up the line. She’s narky but gets on the phone, talks, replaces the receiver. "He’s at Shark Central, upstairs." They’re 10 deep in front of Shark Central. I hang around, listen to snatches of conversation. "Heard by the time they finished him off the water was blood red." "Feeding frenzy. Ripped him to shreds." "Ate everything, even his clothes." "Gunna cut open one of the sharks, see if there’s something left inside, get his DNA so they can identify him." "Punch ’em in the eye, that’s what I heard, stops ’em dead." "Mum, I wanna come back for feeding time." A boy of about 10 has his face squashed against the glass, tongue out, the tiger eyes him as he swims past, all teeth and attitude. The boy makes choking noises, safe behind thick glass. Someone in a wetsuit and diving gear is lowered into the tank. Hope Evan’s got his gun at the ready. I head up the walkway to the door, it’s unlocked. Evan turns as I walk up behind him. "Unlocked it for you." He doesn’t take his eyes off the divers. "Thought it was safe. You know, controlled environment." "Is safe. Just keeping an eye out." An attack in front of the paying public might be going too far. I wonder if he does have a gun, can’t see one, but he’s wearing a bulky all-weather jacket. The adventure seekers diving with the sharks, under the watchful eyes of their minders, are on the bottom of the tank. They wave at their audience, sharks swim around them. The guide puts his arm out, pats one as it goes past. The paying customer follows suit, tentatively. "Shark attack doesn’t seem to have hurt business." "Been lining up to dive with ’em all morning." "Yesterday was up 20%, reckon even more today. Been six deep around Shark Central since opening." He laughs. "Have to put the prices up." He’s joking, but only half joking. "Bad for Marty, good for Ocean World." He’s sweating, unzips the jacket half way. "What’s the escape plan? Say Tiger gets that look in his eye, takes a bite." "Just like Marty didn’t happen." "The guide knows what he’s doing." He gives me his serious professor look. "The situation’s under control, he thinks there’s a problem, they’re out." Another candidate for a swim with the sharks struggles into a wetsuit - a 20-year-old male, his mate with him, they pump each other up. I watch as Evan crouches, his eyes on the inhabitants of the tank. Time for a meaningful jibe. "Better have your gun handy, any self-respecting shark’d have a go at that bloke." Evan looks at me, some surprise, some confusion. Turns back to the sharks. There’s just one more seed I want to sow. "Increased numbers have to help with attracting a joint venture partner for the expansion." "Should have a chat to Clay Goldshield, heard he’s looking for an investment." "That’s why I invited him to the cocktail party. We’re having discussions." He’s not trying to hide anything. "Cops think Clay might be linked to drugs." He doesn’t take his eyes off the tank. "That right? Haven’t heard anything." I crouch beside him, accidentally-on-purpose slip, fall against him, throw my arm around his waist. "That a gun in your pocket, or are you just happy to see me?" "Gotta go. Be away a few days. Get the proposal to you when I get back." He takes his eyes off the tank. "Where you going?" I stand, he’s watching me. "Better keep your eyes on the tank. Don’t want another incident like that one... where was it? California." Not a twitch on his face. I’ll let him think about it, let him know he can’t hide anything from me. I make my own way out, head to Seachange find Maria and Red sharing coffee and cake at a table in the sun. Red wears her unofficial uniform - a polo shirt and trousers with lots of pockets, her mobile attached to the belt, on her hip, where her gun usually sits. The sunlight turns her smooth ’80s coiffure into a glinting red/gold helmet. I join them. Red is explaining the intricacies of the new watch. "Titanium case, bulletproof." "Waterproof to 200 metres, solar powered, so you never need to buy a battery. It’s scratch resistant and the hands glow in the dark. There’s an electronic depth sensor, and an alarm in case you’re coming up too fast." "Didn’t know you dive, Maria?" Red. "She used to, I’m encouraging her to take it up again." "Been pretty busy setting up the cafe. Red thinks I need to take more time off." Like Red takes time off. Red continues. "Maria’s got the business running really well, she should put someone in to manage it, at least a few days a week." Maria changes the subject. "So Dusty’s going to Vanuatu. How did you swing that?" I smile. "Think I could get used to this PI work." Red. "It’s not a holiday. You’re going over there to work. I hope." Red gives orders. "Phone at least once a day. Stay out of trouble. No, that’s impossible, try not to get yourself killed. Don’t want to have to fly over to identify your body. Stern get you that number?" 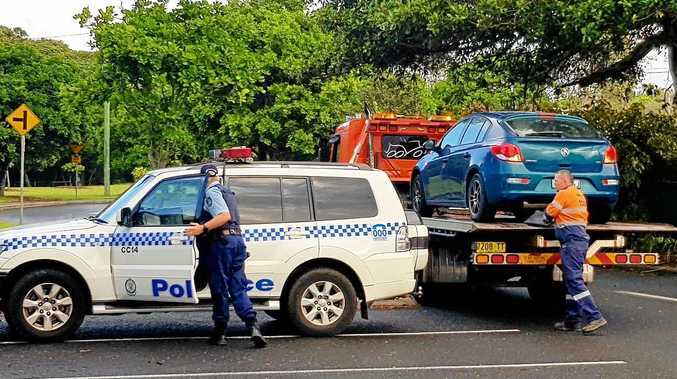 "Don’t know much about Vanuatu police. Probably help you if you need it." She opens her bag - more manbag than handbag - passes me a can of capsicum spray. "Put it in your luggage, and the taser." Her phone rings, she swears, answers, leaves the table. I take Maria’s wrist in my hand. "Some watch. Safe to 200 metres, bulletproof." "You know Red, has to be the best. She’s probably right about the cafe." "What you pair need is a holiday. Let you know what Vanuatu’s like." Maria’s does her nurturing thing. "Take it easy with her. She’s had a couple of shocks. Janet’s not as ..." she searches for the right word, "resilient as you are." "She’ll be fine. Can lie in the sun while I get into the detective work." My coffee arrives, cake - carrot and walnut, vegetable and nuts in cake. Put that in your food diary, Janet. Red returns. "Gotta go. Warehouse alarm, got there too bloody late, ripped off heaps of stuff." She kisses Maria. "Make sure she stays seated for at least half an hour, has a break." "And don’t do anything stupid." She shakes her head at us both, leaves. Red likes control. Maria and I are essentially uncontrollable. In some masochistic way I think that’s what she likes about us. I spoon cake into my mouth. "So what have you got planned for Vanuatu we don’t know about?" I give her a mock disappointed face, wide innocent eyes. Chew, swallow. "It’s work, Maria." Should I mention Captain Randy? I know she’ll tell Red, and I want to be the one who exposes the drug ring. No. "Thought we’d have a holiday while we’re there. Spend a day or so checking out the place. Do some snorkelling. There’s a swim, around an island in the harbour." "Sounds lovely." She puts down the fork, stands. "Red said half an hour." "Have fun. See you in a few days." I return to my coffee and cake. There’s hardly a spare seat at Seachange, triathletes fill the tables. I can pick them by their shaved, muscled calves and thighs, and low-fat orders. For the next week they’ll cycle over the headland, jog the running circuit, swim the bay, familiarise themselves with the route before the big day. At the juice stand, a group straight off the bitumen sweat in skin-tight cycling gear, shoes clack on the pavers. They drink wheat grass shooters followed by fresh fruit juice with added supplements. A young woman holds a bucket of juice - matching cycle shorts and top, sponsors logos, damp hair pushed back. Biceps defined, no body fat. It’s a good time to leave town. Next week: Dusty rounds the corner to find Hank perched on the bonnet of his car.